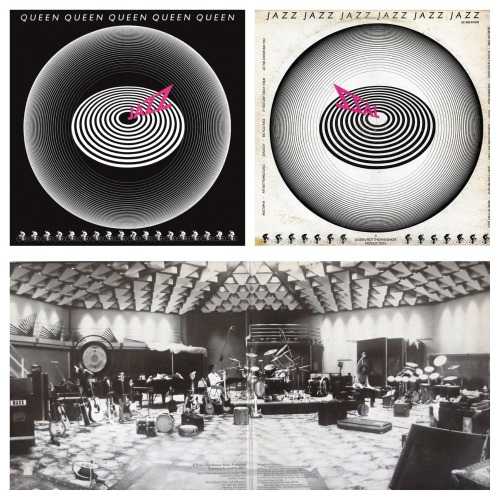 By 1978, I was listening to Queen only out of loyalty to the band that had been my favourite from 1974-76, from “Queen II” through to “A Day At The Races”. Now, however, they seemed almost totally irrelevant. Bands like The Clash, The Jam, The Ramones, Blondie, The Stranglers and Stiff Little Fingers and artists like Elvis Costello and Ian Dury had completely taken over my listening habits to the detriment of poor old Queen. I still bought this album though, and had to admit that “If You Can’t Beat ‘Em”, “Don’t Stop Me Now” and the beautiful “Leaving Home Ain’t Easy” got the old Queen fan juices flowing again, just don’t tell my punk mates. Further listens gained a little respect for “Let Me Entertain You” and “Dead On Time”, but only a little. 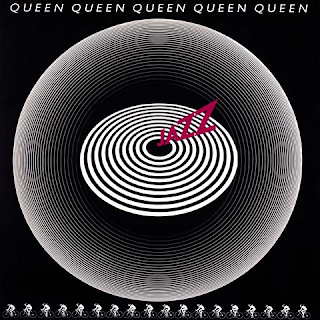 The double a side single contained two somewhat preposterous tracks - the nonsense that was “Bicycle Race” and the slightly better, rock romp of “Fat Bottomed Girls”. The latter track was always strangely mastered in that the beginning is really quiet and then the chorus is much louder. No amount of remastering changes this. Exactly the same problem occurs in the Arabic-chant influenced "Mustapha". Quite what possessed Queen to record like this is unclear. “We Are The Champions” on the previous album was the same. Guess that was just how they wanted them to sound. For me, it doesn't work at all. The Roger Taylor tracks are just that, Roger Taylor tracks. 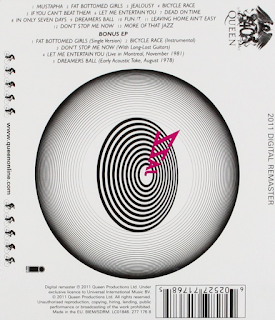 Indeed, “More Of That Jazz” is an unlistenable waste of time. As for the rest of it, all these years later I still don't feel they have much to offer. Mercury's ballad “Jealousy” is ok. I suppose. Underwhelmed then and now. Sorry.